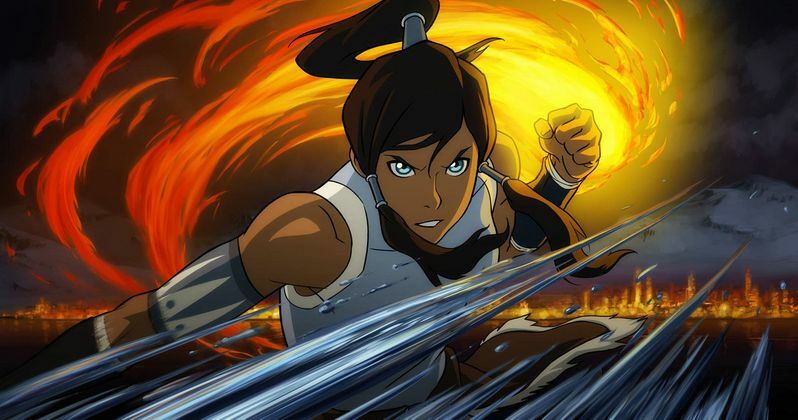 The wait for The Legend of Korra: Book Three won't be a long one, as IGN exclusively announces a June 27 premiere date for The Legend of Korra Season 3, debuting a new clip and plot synopses for the first two returning episodes. The first two episodes, A Breath of Fresh Air and Rebirth of a Nation will air back-to-back in the 7-8 pm slot, followed by a special presentation of the third episode The Earth Queen at 8 pm. The show will go on a small hiatus for the July 4th holiday weekend, before returning on July 11 for the continuation of its run, which will then air uninterrupted. A new clip, which finds wild spirit vines growing wildly throughout the city, is followed by the description for the first two episodes. A Breath of Fresh Air: After the events of Harmonic Convergence, Avatar Korra discovers that her decision to leave the spirit portals open has unexpected consequences. Wild spirit vines have overgrown Republic City and Airbenders are suddenly popping up across the four nations. Rebirth of a Nation: Korra, Tenzin and Team Avatar search for new Airbenders in an effort to recruit them and rebuild the Air Nation. Meanwhile, a band of sinister criminals are organizing to hunt down the Avatar themselves.